This guy obviously didn't test for absence of voltage and his reaction is priceless! But what will the future hold for absence of voltage testing? For over a decade, thousands of users have deployed Permanent Electrical Safety Devices (PESDs) to reduce the risks in isolating electrical energy. This elegantly simple innovation increases the probability that workers are only exposed to ‘zero voltage’ when doing an absence of voltage test. The cumulative experience end users have amassed by using PESDs encouraged UL to create a new product specification for permanently mounted Absence of Voltage Testers (AVTs). Because UL acted, the 2018 edition of the NFPA 70E 120.5(N) also included an exception allowing AVTs to be another way to create an electrically safe work condition instead of a portable voltmeter. But perhaps, the real accomplishment in the NFPA 70E 120.5(N) is that the foundational principles for permanent voltage test devices now exists in a consensus standard. Looming questions remain; will AVTs obsolete the portable voltmeter? Will electricians trust them? 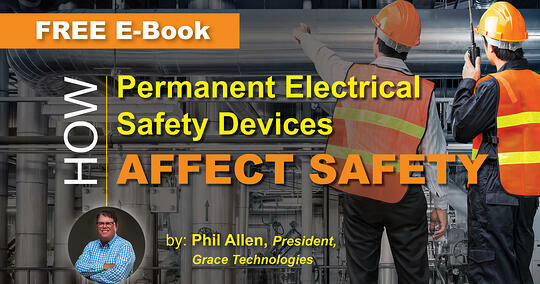 How will OSHA weigh in on the use of an AVT over the tried-and-true voltmeter test?